The 406 Coupe Club was formed in 2005 and although we are based in the UK we are pleased to be able to say that we have club members and forum contributors from all over the world. The club is run and maintained by club members and is financed solely through the voluntary donations that members make. Our aim is simply to be the best possible resource for 406 Coupe owners and to anyone else with an interest in the model. 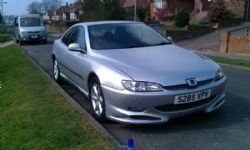 Within this website you will find many informative articles written by our members about all aspects of the 406 Coupe. We have tried to place information into logical sections but do feel free to have a look around and explore the site as much as you wish. • The principal section on the site is undoubtedly the Forum section. This is the place where you can introduce yourself, chat with, and ask questions to all our members, Coupe owners and enthusiasts. This whole site has evolved from a simple chat forum, so please don't be shy, wherever you are from, and whether or not you own a Coupe, you'll always be made welcome when you sign in. • Our media section contains magazine articles from over the years all of which feature the 406 Coupe along with a Video Gallery which holds both professionally produced promotional clips, and several of our members own video's. • We have created an excellent Photo Gallery containing numerous albums of photographs taken by our members. Many of these photos feature in our annual Club Calendar, or possibly our "photo of the month" competition, the most recent winner of which is being displayed on this page right now. • The Services Section contains information and guides written by our members, on how to fix some of the common problems associated with the Coupe. These guides can potentially save hundreds of pounds in garage fees. • The Classified Ads Section, contains free ads, placed by anyone wishing to sell their Coupe, and for buyers we have added a Coupe Buyers Guide, so that you don't forget to ask all those relevant questions especially those that are particularly pertinent to the Coupe. • The Coupe Owners Database enables all 406 Coupe owners to record where they are located along with basic details of their cars. The database is fully searchable and can put you in touch with fellow Coupe owners from your area. 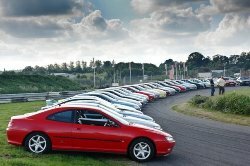 We would like to encourage all Coupe Owners from anywhere in the world to sign up, but please do remember to sign out if you decide to sell your coupe. Although the Club functions mainly on the internet, we hold a number of meetings each year throughout the Country. These are held mainly in the spring and summer months, and if you are a coupe owner, club member or not, you are most welcome to join us at one of these Events. We ensure that all the details for the planned Full Club Meetings are added to the home page, but our members also hold their own local meetings throughout the year and you may well find one being arranged near you. Anyone planning a local meeting is welcome to use our Event Planner, located in the applications section. Thanks for visiting the site, we hope you enjoy it and find it useful. Everyone is welcome here, but especially fellow owners of 406 Coupes from anywhere in the world. We hope you will stick around and become part of our 406 Coupe community.